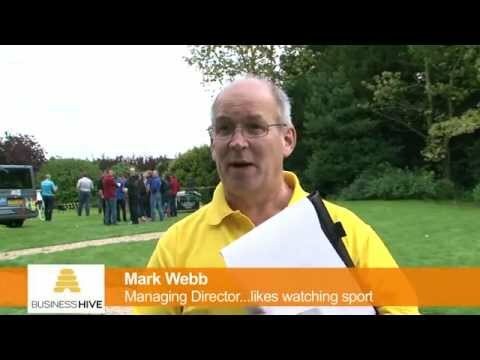 Business Hive boss Mark Webb, commissioned “not for profit” social enterprise Positive Activities (formerly GHoPA) Get Hooked on Positive Activities to deliver their very first Business to Business Challenge Event at Healing Manor on Friday 25th September. The event was a great day for Positive Activities (formerly GHoPA) and Business Hive. The weather was great, the venue was stunning and some of the regions’ finest businesses turned out in force to take part in one of the most entertaining business networking events of the year. The Business Hive team led by Sam, Jo, Carrie and Mark Webb ensured that all participants were enjoying themselves and had an ample supply of food and drinks throughout the day. The four business challenges included the highly addictive Laser Clay Pigeon Shooting, Archery, Frisbee Disc Golf and Biathlon Laser Target Shooting activities. The business teams of up to 5 people began to practice the activities from 12.30am till 2pm. All of the participants had the chance to try and improve their skills at all 4 challenges before the competition started at 2pm. The Positive Activities (formerly GHoPA) coaches were there to offer guidance throughout the day. At 2pm, the business to business challenge event commenced. The teams had to complete all four challenges with the best score to win and some (of the really keen teams) had a second attempt to increase their team score. What a battle as the teams competed to bring home the bacon for their organisations. Most teams were just having fun but it soon became clear that some teams were very competitive and out to win the coveted trophy and the title of winner on the day. 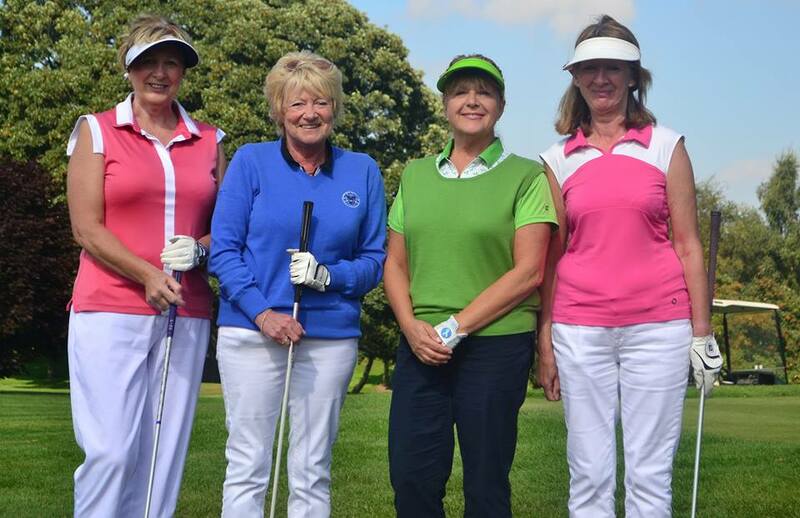 The competition finished after a well fought battle and plenty of networking between the teams. All participants then returned to the recently refurbished barn inside the Manor where they were treated to a superb buffet and more drinks. Mark Webb announced the winners as DONG Energy, who were presented with a trophy from the Business Hive and a corporate entertainment package worth £500 kindly donated by Mark Fenty, the Managing Director of Positive Activities (formerly GHoPA). Mark Fenty was extremely pleased with the event and said “It is good to work with commercial business. Positive Activities (formerly GHoPA) provided a unique corporate service which everyone really enjoyed. We want all businesses to know that by entering this competition, it helped our “not for profit” organisation to raise vital funds so that we can continue to deliver to our social mission. 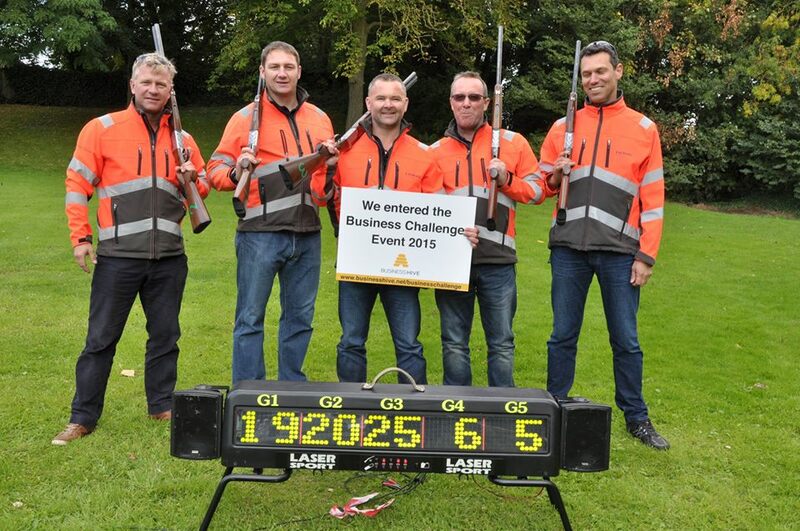 Mark Webb commented “this was the first B2B challenge and it was a sell-out. Already we have bookings for the next business to business networking challenge”. Mark Webb added “Positive Activities (formerly GHoPA) did an incredibly professional job. I hope the success of this event will generate leads from any company or individual who is considering a celebration event or perhaps a reward or team building event”.